Planting Kura clover, a pasture legume, with prairie cordgrass can improve microbial activity in the soil, thus reducing the amount of fertilizer needed to produce the potential biofuels crop, explained Associate Professor Sandeep Kumar of the Department of Agronomy, Horticulture and Plant Science. That news is good for both the producer and the environment. "We are seeing an increase in soil health in stands where there is little diversity—only two species," said Professor Vance Owens, director of the North Central Regional Sun Grant Center. But it takes time to see those benefits. Ten years ago, Owens and Associate Professor Senthil Subramanian planted prairie cordgrass and Kura clover at the South Dakota Agricultural Experiment Station Felt Farm, north of campus, as part of a multi-institutional North Central Regional Sun Grant Center project. The SDSU team collaborated with researchers from the University of Minnesota, University of Wisconsin-Madison and University of Illinois at Urbana-Champaign. "We wanted to see what kind of nitrogen replacement value Kura clover could provide," Owens explained. "It took until the fourth year before we saw any direct benefit in terms of yield in the prairie cordgrass plots mixed with Kura clover, but by then, the nitrogen benefit from the Kura clover ranged from 20 to 80 pounds per acre across the four locations." When Kumar took over the ongoing project in 2013, he expanded the research to assess greenhouse gas emissions and, most recently, to evaluate soil health parameters, such as organic matter and microbial activity. That led to the discovery of further benefits from Kura clover. The 2018 U.S. Farm Bill increases funding for programs that reward producers for adopting practices that conserve and improve the soil quality. The legislation also encourages research to develop ways to promote soil health and have innovative practices transition to the field. A handful of healthy soil contains millions of bacteria and fungi-these microbial communities help decompose organic material and make nutrients available to the plants, according to Kumar, whose research is through the South Dakota Agricultural Experiment Station. "Soil is a vital, living ecosystem." As a perennial legume, Kura clover enriches the ecosystem by transferring nitrogen from the atmosphere into the soil through bacterial interactions with the plant's root system (N-Fixation). The winter-hardy clover works well in combination with native grasses. "It's well suited to the marginal lands utilized for perennial biofuels crops," Owens said. 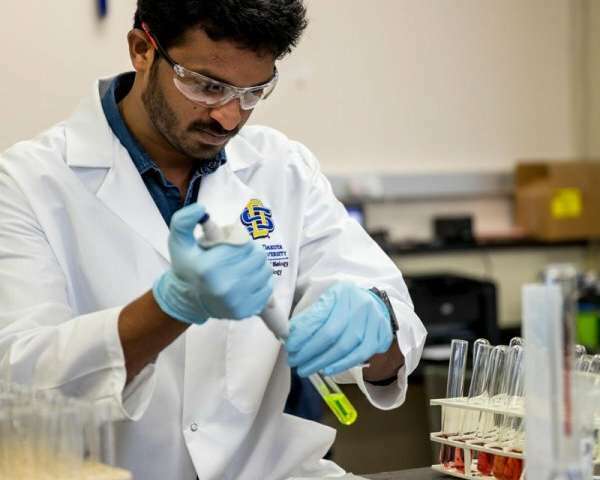 Kumar and postdoctoral research associate Udayakumar Sekaran compared soil samples from plots of monoculture prairie cordgrass on which varying levels of nitrogen fertilizer were applied with those in which prairie cordgrass was grown in a mixture with Kura clover. Because one of the fertilizer applications rates was zero, unfertilized prairie cordgrass can be considered control plots, Sekaran pointed out. 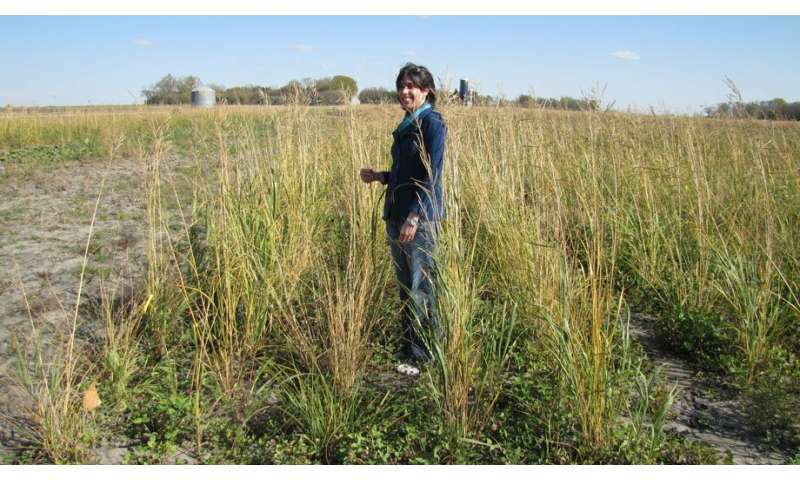 Switchgrass grown alone was also used as a control for the comparison of two perennial grasses. The researchers are analyzing soil samples collected after the biomass was harvested this fall, the first year of the two-year study. The research is supported by the U.S. Department of Agriculture Natural Resources Conservation Service (Soil Health Economics Program). Looking at the microbial populations, Sekaran reported higher levels of microbial community structure in the Kura clover-cordgrass combination compared to the switchgrass control and some of the nitrogen fertilizer levels. The test measures the phospholipid fatty acids that make up live cell membranes. Microbial levels for both total bacterial and fungal biomass were higher in soil samples from Kura clover-cordgrass plots. Next, Sekaran will perform DNA sequencing to determine exactly which microbes are present. "We will be able to tell where the increases and decreases have occurred among the treatments and whether there are any new microbial populations." In addition, the researchers are measuring the enzymes in the soil samples. "All these enzymes are involved in nutrient cycling—carbon, nitrogen, phosphorus and sulfur," Sekaran said. "It's like the human digestive system." Overall, he said, "we found most of the enzyme activities were higher in the Kura clover and prairie cordgrass plots compared to the switchgrass control and to the monoculture prairie cordgrass plots—even those with higher nitrogen levels." 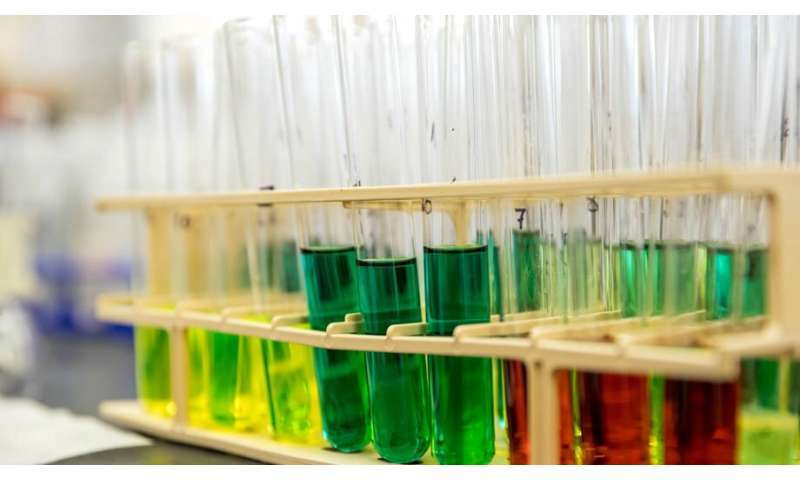 The enzymatic activity results will give the idea about how these enzymes play a crucial role in releasing some end products such as glucose, ammonium/ammonia, phosphate and sulfate which is essential for plant and microorganism growth. Though the researchers are still analyzing soil samples, the results, thus far, show the potential that legumes have for helping produce biofuels crops more sustainably as well as improving overall soil health. Sekaran's message to producers is straightforward: "Include Kura clover in prairie cordgrass and you will benefit. Think about it to help utilize marginal land effectively, but be patient."